Thank you for visiting Rocket Movers - Georgetown Moving Company. You have arrived at Georgetown #1 source for the best moving, packing, and storage services. Our loyal customers know that moving furniture and belongings is a highly specialized skill. Providing care for our customers requires expertise and teamwork using procedures to avoid damage to interior walls and flooring. Equally important to a quality move is the skill used in loading the furniture pieces in the truck. Rocket Mover's trucks are equipped with plenty of premium moving blankets and shrink wrap at no extra charge. Our residential moving services are the real thing. We are rated at the top of consumer ranking websites for Georgetown moving companies, and almost 45% of our business comes from repeat customers. Our rates are easy to understand and we use professionally trained movers. Give us a call today and make a reservation for your move: 512-588-7074. Let our professional Georgetown movers help you. Don't have time to pack your house yourself? Dont worry. Our professional staff can lend a hand. 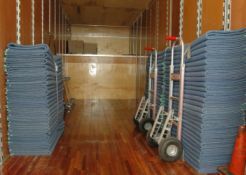 Rocket Movers employs a professionally trained packing crew capable of packing your entire house. Our staff takes extra care to protect your belongings. 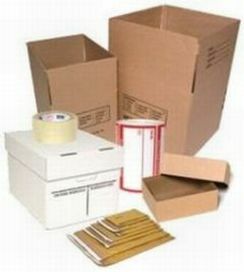 Our experience and specially constructed packing materials provide safety and security for all your belongings. We use specifically designed corrugated cartons for packing all household contents, especially dishes, china, books, artwork, and clothing. Once you have moved into your new home Rocket Movers can help you unpack. This service allows you to settle into your new home quicker with less stress. Our team will unpack your contents and place them in their final destination. At the end of the process, our team quickly removes all packing materials and boxes. 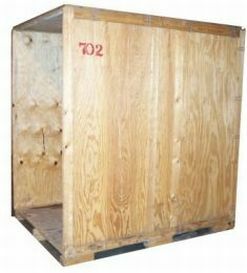 Crate your valuables if you need to have a piece of artwork, set of china, or other valuable piece protected. Rocket Movers can pickup the item and pack it in a commercially built crate to ensure safe transport. We can even ship the item for you from one of our warehouse partners.